How can you keep from miscalculating the cost of your pay-per-click campaign? How can you keep from miscalculating the revenue from your pay-per-click campaign? How can you cut through the confusion, simplify your analysis, and make the right pay-per-click marketing decisions? How can you cut through the confusion, simplify your analysis, and make the right content marketing decisions (for newsletters, white papers, etc.)? How do you understand your log files? Why is it so difficult to interpret your log files? Once your site is optimized, and your pay-per-click search engine campaigns are fully optimized, and once you are capturing the maximum available traffic, how do you continue to grow? We are currently researching two key options. We are also studying a systemized approach for developing strategic alliances, effective ways to mix online and offline promotions, and high yield opt-in email marketing. How did one of our research partners generate a $5320.77 profit with their Google campaign, celebrate a 5.1 percent return on investment, double their budget, and then (much to their chagrin) discover that they actually lost 15.9 percent? There is too much money “left on the table” with pay-per-click advertising. We overspend; we underspend. And even if we collect the right metrics, we often fail to analyze them properly. There is a lot of misplaced trust in the marketplace. How can the average “marketing prince” keep from losing money? Our last (27-page) report was developed to help you collect the right numbers. The goal of this report is to help you simplify the time-consuming, tedious, overcomplicated process of analyzing those numbers. Okay Marketing Pro, here is a chance to test your analytics prowess. Study the following chart and identify which number is most likely to be incorrect. Most Internet marketers, at one time or another, have found themselves trapped in a peculiar conundrum: sales are up, but profits are down. And worse, the metrics look deceptively strong. It is a painful contradiction. In more cases than not, careful analysis reveals that the crux of the problem is a faulty assumption. The above chart was prepared for an online retailer that rapidly grew from annual sales of $500,000 to just over $1 million. If you study the chart carefully, you may be able to detect the likely error. Only one of the nine key numbers is a general assumption. The total clicks, cost per click, orders, average order, revenue, and so on are all relatively specific calculations. But the margin is just a general average of more than 1500 products. It is a significant assumption. And in this case, it is wrong. 3500 years ago, King Solomon warned: “As goods increase so do those who consume them.” His advice is still painfully apt for today’s business. As this company grew, it experienced a rather typical margin creep. Product cost increased and operating cost increased. The change was gradual (and difficult to detect) until the annual financials were prepared. That is when the CEO learned that while COMPANY X sold $1 million, they lost $100,000. What You Need To UNDERSTAND: The first analysis was based on a 40 percent margin; the second analysis was based on a 32 percent margin. (*2) This company thought it was making money on its Google campaign, but in actuality, it was losing nearly 16 percent.The more money COMPANY X spends, the more money it loses. So what can they do? The CEO of this group is experienced and effective. He was a Financial Analyst before he became an Internet retailer. He has frozen all but the most profitable SE campaigns. He is re-evaluating his costs. He is eliminating unprofitable product lines. He is refocusing on his core offering. We are quietly cheering for him. If we assume the margin is correct, then what could possibly be wrong with this data? It seems reasonably precise, but it contains a minor yet significant assumption. According to the chart, the average cost per click is 20 cents. This is an accurate number. But it is the wrong number with which to evaluate your economic performance. An average is insufficient. It is better to calculate the EXACT cost per click. This is accomplished by dividing the money spent by the number of clicks. What You Need To UNDERSTAND: When SITE A calculated ROI with an AVERAGE cost per click, it over-reported costs and under-reported profits. The difference was nearly 9 percent. A mistake like this can cost you. Spending too little on a campaign can be just as wasteful as spending too much. All marketing is not direct marketing, and although it is possible to cash flow each month on your pay-per-click campaign, it is important to calculate the ANNUAL return on your marketing investment. Would you reinvest in this campaign? Those customers who come to the site, exit it, and then return to make a purchase. It is a mistake to ignore these two events. If funds are limited (and they often are), you may be forced to recover all of your investment within the first 30 days of your billing cycle. But the value of a customer equals more than the value of a first sale. And while we find it impractical to calculate the mythic LIFETIME value of an average customer, we do find it helpful (even critical) to determine the ANNUAL value of an average customer. Armed with this number, you may discover that your money is well spent on a campaign that cannot completely pay for itself with the first sale. What You Need To UNDERSTAND: If you factor in repeat orders, this campaign moves from a negative return of -6.51 percent to a positive return of 9.11 percent. Marketers often fail to consider the true financial impact of single digit returns. If you compound this 9.11%, you could achieve an annual return of 161 percent. Important Disclaimer: We have expert financial analysts on our staff at MEC, and we do recognize the many assumptions in this projection, but we are just trying to make a single salient point. Don’t underestimate your campaign’s true ROI, and don’t underinvest in your growth. If you can fine-tune your marketing, so that you can (1) accurately track reorders, and (2) accurately measure campaign results, you can develop a solid investment strategy for growing your company. 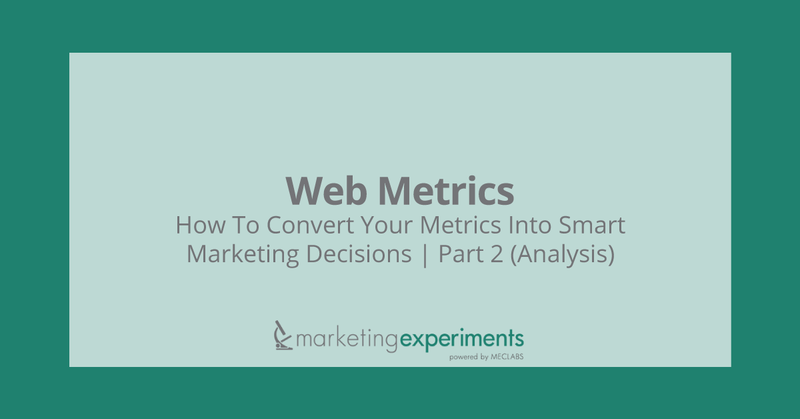 But, how can you consistently monitor your campaign results? How can you prevent reporting errors? How can you cut through the confusion, simplify your analysis, and make the right pay-per-click marketing decisions?